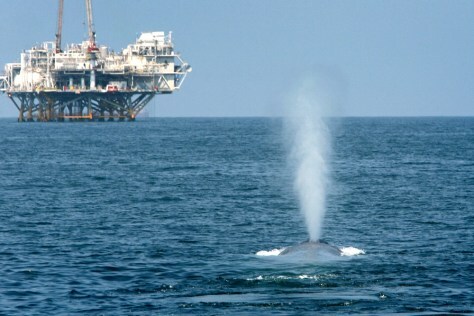 An endangered blue whale spouts near offshore oil rigs in California in July. The use of Navy sonar in Southern California and its impact on whales has reached the U.S. Supreme Court. Sonar can interfere with whales' ability to navigate and communicate.